Solutions to water capture and transport, and irrigation systems with all accessories needed. Solutions for garden watering with all the accessories. Solutions for water and gas supply, pools, drainage and fire, with all the accessories needed. 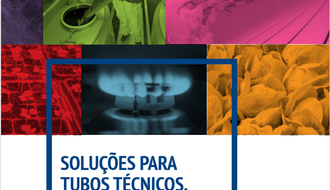 Solutions for suction, fuels transportation, compressed air and food liquids. Helitene is an SME, with portuguese capital exclusively. Its foundation dates from 1982 and was acquired by Grupo Durit - Portuguese Tungsten Metallurgy Ltd in 1987, since then is part of Grupo Durit. Its main activities are the trade and production of industrial hoses made of plastic materials (PVC, PU, EVA, EPDM, PE, ...) and accessories. WE HAVE AT YOUR DISPOSAL A WIDE RANGE OF INDUSTRIAL HOSES AND ACCESSORIES ASSOCIATED WITH IRRIGATION SYSTEMS (SPRINKLERS, MICRO-SPRINKLERS, FILTERS, VALVES,...). This range aims to customers related to various activities, as examples, agriculture, drainage, fire fighting, gardening, construction, food industry (wine and milk), industry, aspiration, amongst others.